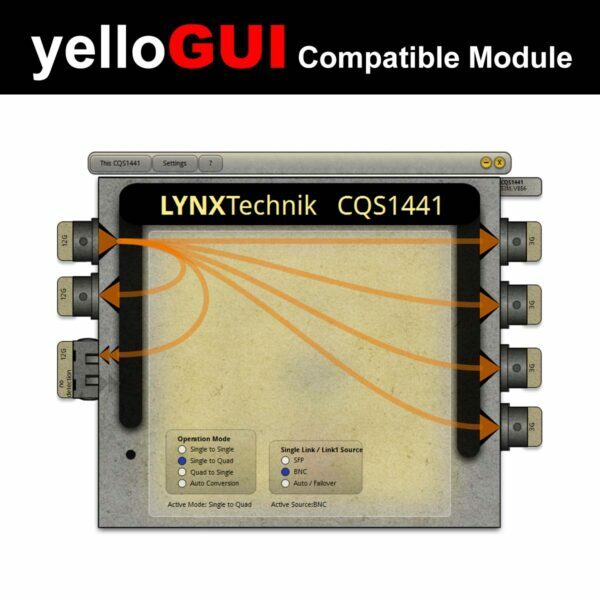 TThe CQS 1441 is a compact solution to bridge between 4K UHD quad link 2SI devices and single link 12G SDI devices. 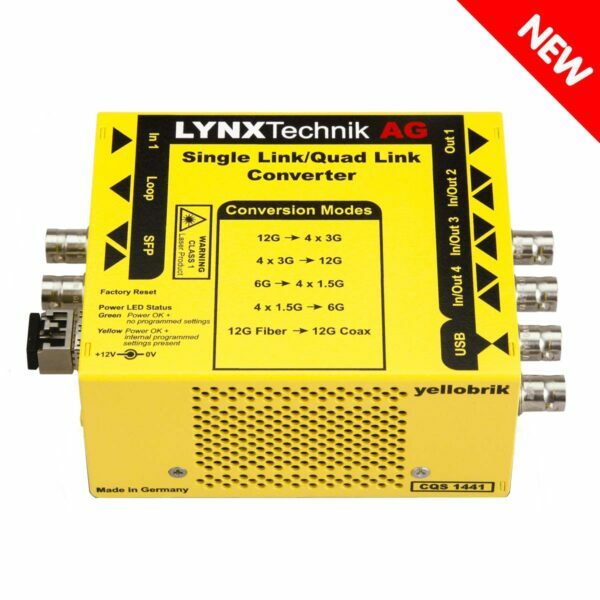 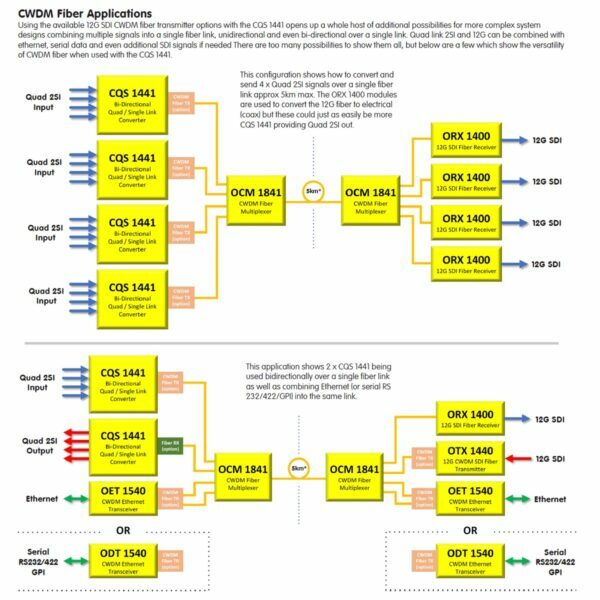 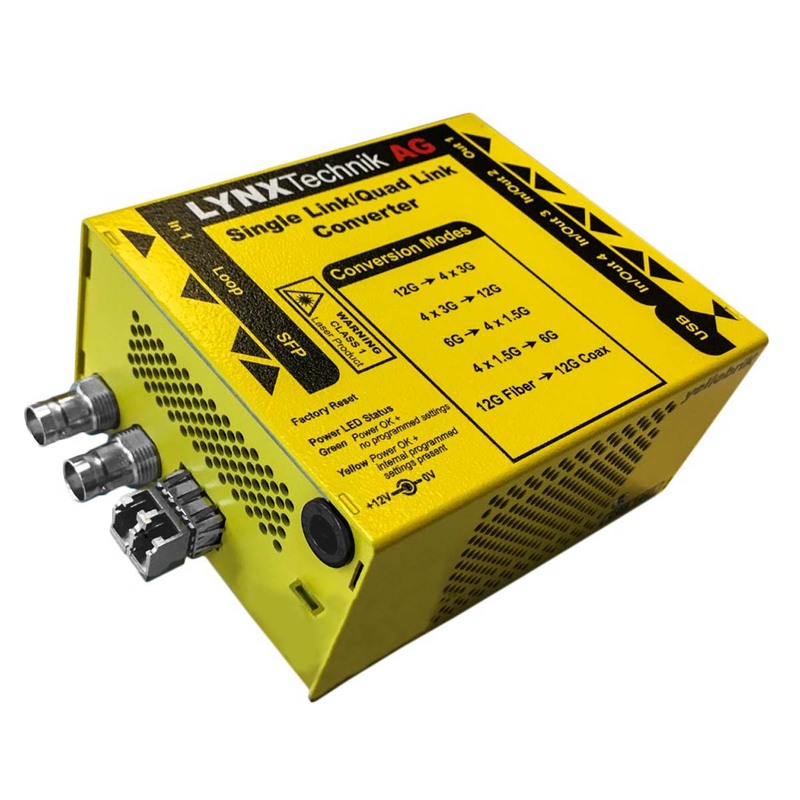 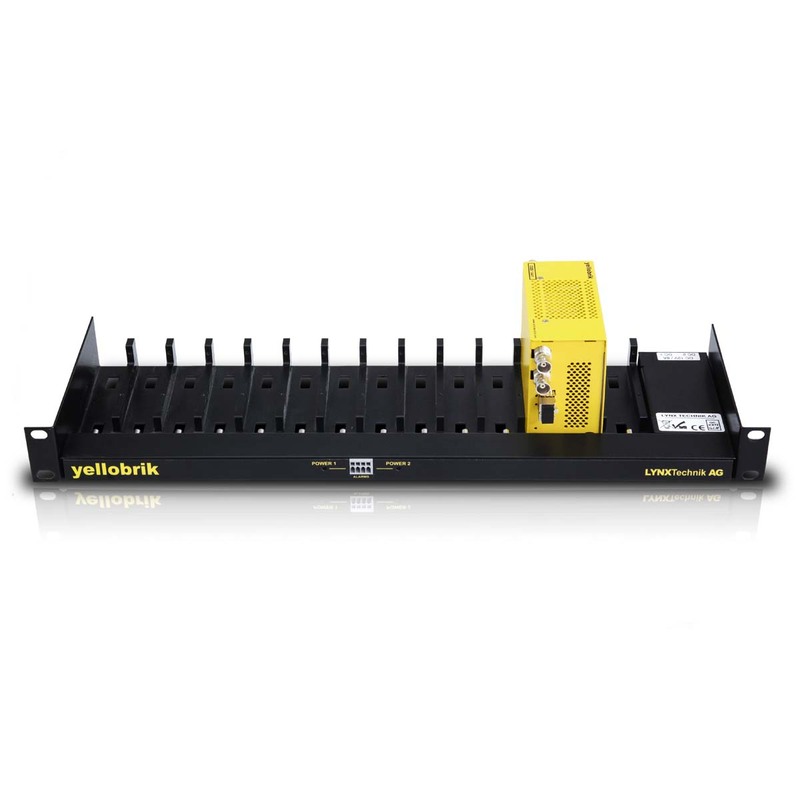 The module can be configured to convert to or from Quad link 2SI. 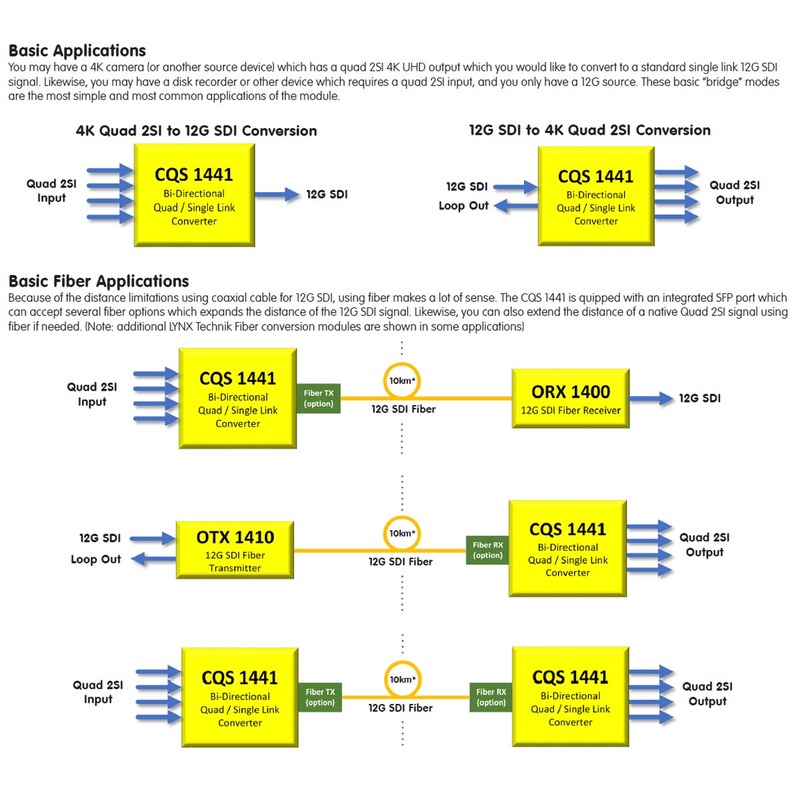 With the distance limitations of 12G SDI electrical connections, the CQS 1441 is equipped with an integrated SFP fiber port which can accept a number of 12G fiber options depending on the specific application.